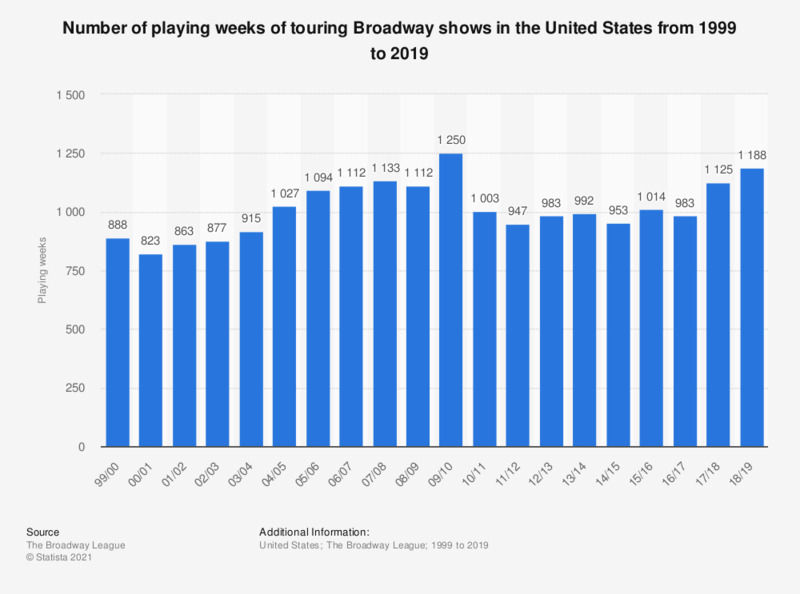 This statistic shows the number of playing weeks of touring Broadway shows in the United States from 1999 to 2018. During the 2017/18 season, the number of playing weeks of touring Broadway shows was 1,125. Playing Weeks are calculated by counting the number of weeks during which each show performed in a given year, and then adding up each show's subtotal to determine the overall number of weeks of performance logged by all shows.